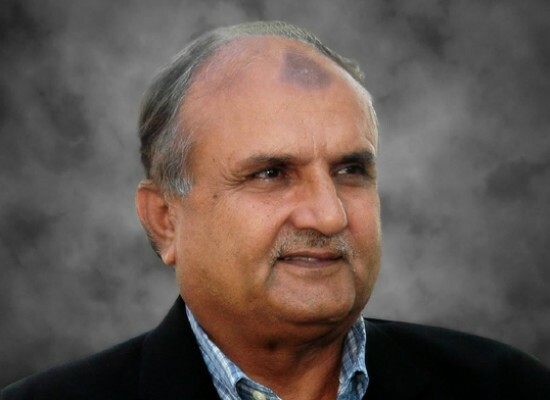 The team was announced by the chief selector of PCB, Iqbal Qasim, on December 10, 2012, at the Gaddafi Stadium, Lahore, which is the headquarter of the board. Misbah-Ul-Haq and Mohammad Hafeez have been retained as the captains of One Day International and Twenty20 respectively. The selection committee has included three new faces; Haris Sohail, Asad Ali and Zulfiqar Babar. Below, we will highlight the brief career of the three new players who are selected for the series. Haris was born on January 9, 1989, in Sialkot, a left hand middle order batsman and occasional left arm medium fast bowler. He has played for Sialkot, Zarai Taraqiati Bank and Sialkot Stallions. Haris is a promising middle order batsman with a temperament to stay at the wicket while playing all shots in the book at every corner of the park. The 23-year-old has played 16 List A matches, scored 357 runs averaging of 32.45 runs with the best of unbeaten 75 comprising 2 fifties. He took part in 14 T20s, scored 437 runs at an excellent average of 72.83, the best of unbeaten 69 with 4 fifties. 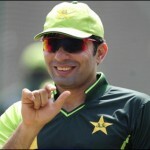 Asad was born on October 14, 1988, in Faisalabad, a right arm medium fast bowler and right hand batsman. He has played for Faisalabad, Punjab Stallions, Faisalabad Wolves and Sui Northern Gas Pipelines Limited. The lanky fast bowler has been impressive in the domestic cricket for the last few seasons and has been knocking at the doors of International cricket since long. The 24-year-old has played 41 List A matches and has taken 80 wickets at a superb average of 18.65 runs per wicket with the best of 4-14. He grasped 34 wickets averaging 22.14 with the best of 3-19 in 29 T20s. Zulfiqar was born on December 10, 1978, in Okara, a left hand leg spin bowler and a right hand batsman. 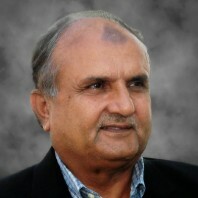 He has played for Pakistan A, Baluchistan, Rest of Punjab, Baluchistan Bears, Multan Tigers and Multan. He is quite an old customer as compared to the other two new inductions in the team but is a genuine leg spinner who can be vital on turning Indian tracks. The 34-year-old has played 37 List A matches and took 56 wickets averaging 23.08 with the best of 6-10 runs. He took part in 21 T20s and held 26 wickets at an excellent average of 16.73, with the best of 4-15. All-rounder Shahid Afridi has been dropped from the ODIs due to a consistent failure in the previous encounters but has secured his place in T20s. He managed 9, 0, 9, 32, 2, 17, 0, 9, 0 and seven runs in his last ten outings. Afridi has taken 2, 0, 0, 1, 0, 1, 0, 2, 1 and 0 wickets in his previous ten matches. Misbah-ul-Haq (captain), Nasir Jamshed, Mohammad Hafeez, Azhar Ali, Younis Khan, Haris Sohail, Kamran Akmal, Saeed Ajmal, Wahab Riaz, Junaid Khan, Umar Gul, Imran Farhat, Umar Akmal, Anwar Ali, Zulfiqar Babar. Mohammad Hafeez (captain), Nasir Jamshed, Kamran Akmal, Umar Akmal, Umar Amin, Shoaib Malik, Shahid Afridi, Saeed Ajmal, Mohammad Irfan, Junaid Khan, Sohail Tanvir, Umar Gul, Asad Ali, Zulfiqar Babar, Ahmed Shehzad.